Look what just arrived from Ryan's awesome dad! 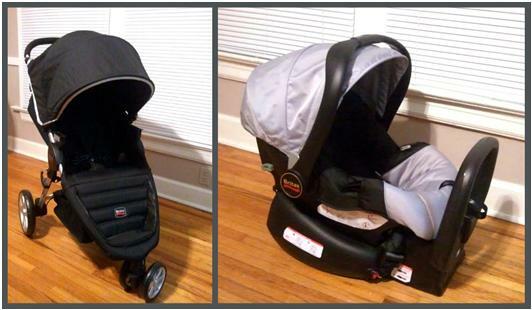 It's our Brixtax stroller and car seat! We are sooooooo excited because not only does the pair look super modern, Britax is one of the safest brands you can get. Plus, it's nice that the stroller is easy to fold...All you do is pull a strap in the middle of the seat and BAM, strollers closed. Here are some pics. Thanks again Sam and Liz!! !